Kakaʻako Waterfront Park looking out over surfers at Kewalo Basin. Photo courtesy of Napua Heen/ Hawaii.com. Kakaʻako is a lively urban center in Honolulu, Hawaiʻi on the island of Oʻahu. It sits on the southern shoreline between the areas of Ala Moana and Waikīkī to its east and Downtown Honolulu to its west. Kakaʻako touches the ocean at the Kakaʻako Waterfront Park, Kewalo Harbor and Ala Moana Beach Park. To the north are the valley communities of Nuʻuanu, Pauoa and Makiki. A neighborhood brimming with a mix of fine dining and street food eateries, Kakaʻako is Hawaiʻi’s urban mecca. There’s just so much to do here. Shopping options are plentiful. Entertainment is growing with the best yet to come. Residents, business owners and visitors have created such a synergy that Kakaʻako is on the rise. No worries, though. You can still find a peaceful corner in a coffee shop or stroll down to the ocean for a quiet time of relaxation. Rolling hills at Kakaʻako Waterfront Park. Photo courtesy of Daniel Ramirez. 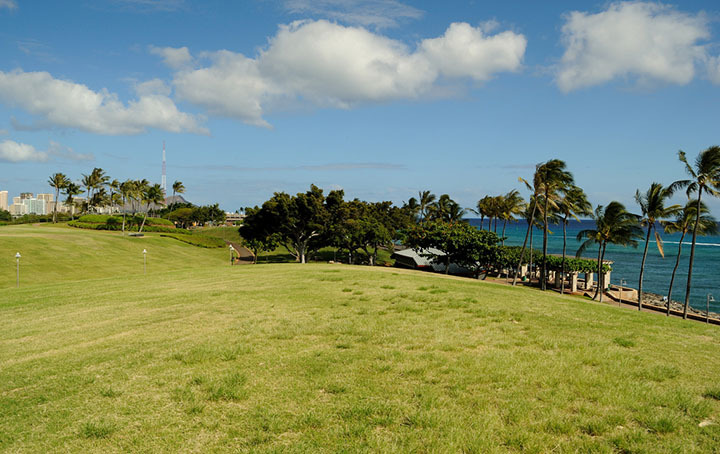 The Kakaʻako Waterfront Park is about 35 acres of grassy knolls set along the water. It is the perfect place to have a picnic or watch the sunset. The hills form a grassy amphitheater which is the venue for some of Hawaiʻi’s lively outdoor concerts. There is a wide sidewalk adjacent to the ocean. Children enjoy riding their bikes along this sidewalk and the meandering paved pathways that go through the park. This also makes for excellent jogging conditions, especially if you go for sunset. Local boys Khahlil and Lewis had just finished up a session at Kewalos when I snapped this shot. The waves were great that day. Thanks for stopping to talk story, guys! Photo courtesy of Napua Heen/ Hawaii.com. There is no sandy beach here. 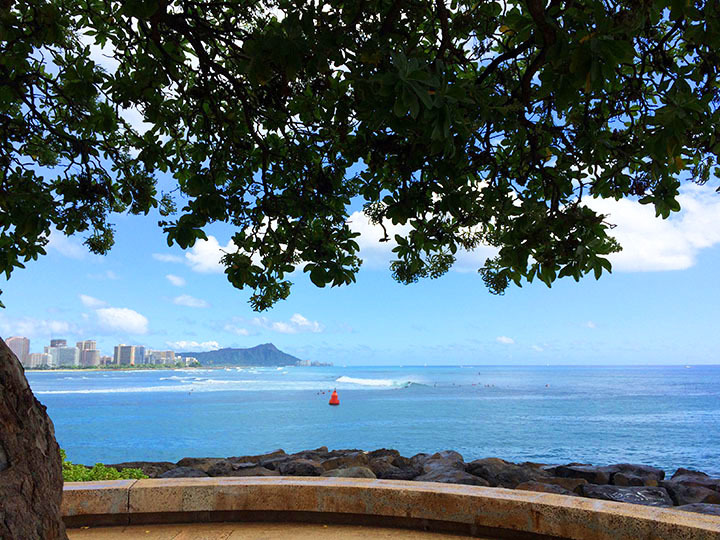 Kakaʻako Waterfront is better suited for surfing and body surfing. Kewalos, named for Kewalo Basin, is a popular surf spot you can get to by paddling across a small channel. Point Panics is the best spot for body surfing. Swim with caution here and make sure you have fins. The waves are strong and they break against large boulders. 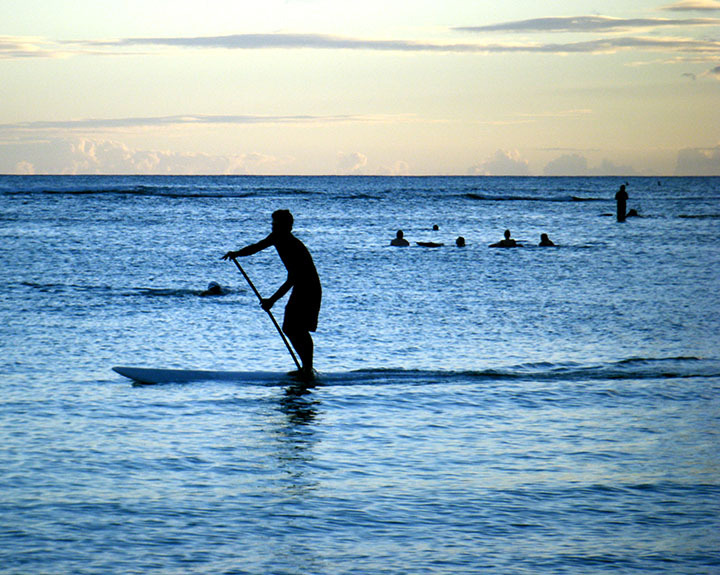 A paddleboarder at dusk on the calm waters of Ala Moana. Photo courtesy of Rosa Say. If you’d like to get your toes sandy, travel a little ways in the Diamond Head direction. You’ll find yourself at the 100-acre Ala Moana Beach Park, complete with a very long stretch of white sand and calm waters that are perfect for children and standup paddle boarding. Ala Moana is also a great place for jogging. Photo courtesy of Napua Heen/ Hawaii.com. Perched on the water’s edge overlooking Kewalo Basin is an exquisite restaurant named 53 By The Sea. This five star establishment offers fine dining, private dining, wedding and special event services, and a regal atmosphere. Photo courtesy of Loretta Yajima/ Hawaii Chidren’s Discovery Center. 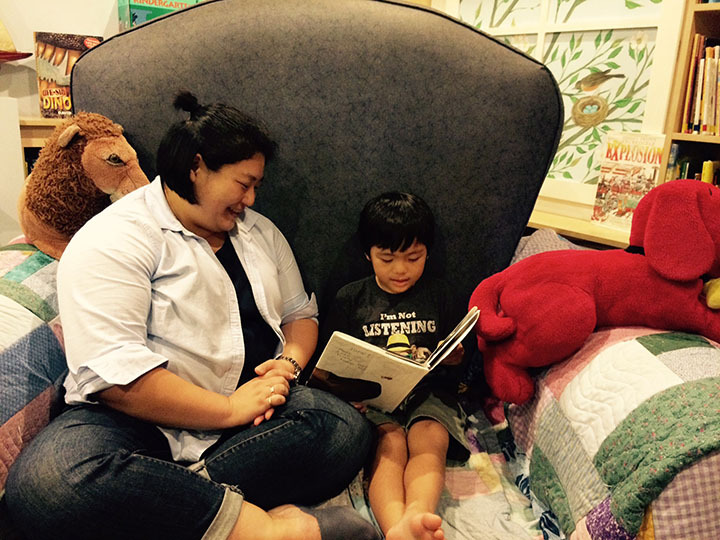 A wonderful place to take the little ones is the Hawaii Children’s Discovery Center. This is an indoor, hands-on learning museum of sorts. Children can touch everything! Best of all? Parents love the air-conditioning and having a place to let the tots roam freely on a rainy day. The Discovery Center is just mauka, toward the mountain of, Kakaʻako Waterfront Park. 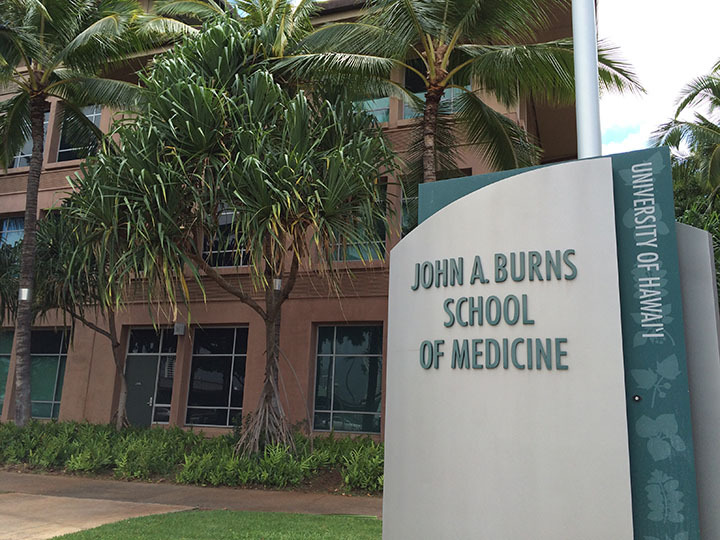 On the opposite side of the parking lot from the Hawaii Children’s Discovery Center are two very special places: the John A. Burns School of Medicine and the University of Hawaiʻi Cancer Center. These facilities are a source of pride for local residents because of the biomedical research that goes on here and the number of physicians that are educated to care for Hawaiʻi residents. The changes happening in Kakaʻako are exciting. What was once a commercial and retail district is now a vibrant neighborhood. Ward Village is shaping up to be a beautiful setting. The heart of Ward Village is the intersection of Auahi St. and Kamakeʻe St. Ward Village is home to the Ward Entertainment Center, featuring Hawaiʻi’s best movie theatre, along with an abundance of shops and restaurants. 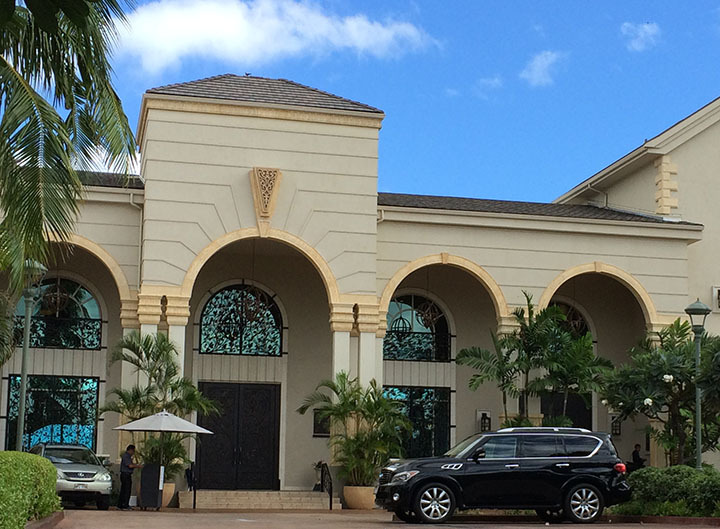 Ward Village is one of the best places to shop on Oʻahu. You can find everything from bigger brand names to specialty only-in-Hawaiʻi items. Indulge in a new pair of shoes or find the perfect gift for that special someone. Some of the popular local eateries in Ward Village are Pāʻina Cafe, Kakaʻako Kitchen and Kuaʻāina Burger. In addition to the rich shopping, eating and entertainment options, several condominiums are going up in this area. The addition of local residents will bring new life and flavor to an already vibrant place. It gets better. Hawaiʻi’s flagship Whole Foods grocery store is also coming to Ward Village. There is a lot of thought and care going into the improvements of this community, and it is anticipated to have a comfortable and healthy feel to it, embracing a modern style while maintaining its Hawaiian heritage. 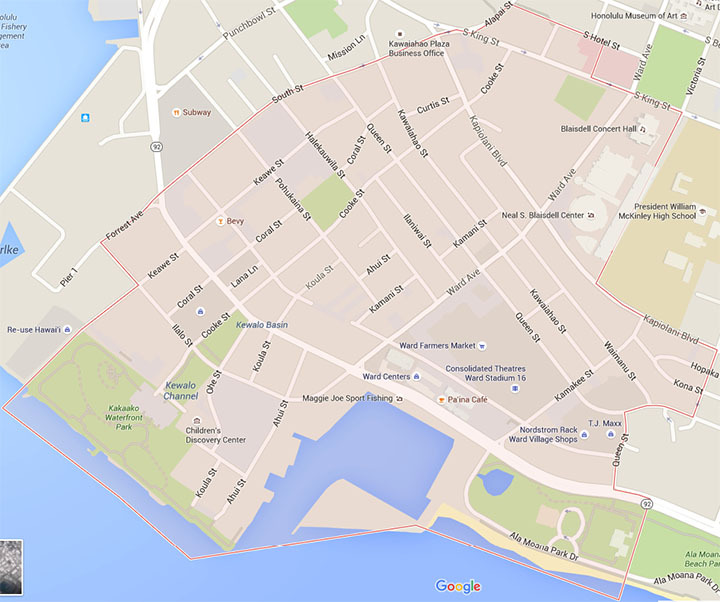 SALT is another shopping, dining and residential area in Kakaʻako situated between Coral St. and Keawe St. The name SALT pays homage to the area’s history. Prior to developments, Kakaʻako was a marsh land. The areas close to the shoreline were salt ponds. Salt water evaporating in the island sun leaves delicate white salt crystals used to preserve and flavor food. Projected to be completed in late 2015, SALT will be a pedestrian friendly city block with curated shops, restaurants and interactive spaces giving showcase to an urban, island lifestyle. Located just under the iconic Six Eighty residences, Highway Inn Hawaiian Food has already established a foodie fan-base. Highway Inn cooks up traditional Hawaiian dishes as well as “local favorites.” Click here to read their visitor’s guide to Hawaiian food. Just a little ways away at the corner of Keawe St. and Auahi St. is an artsy bar serving handcrafted cocktails and fresh tapas. This friendly neighborhood bar is called Bevy. Readers of a popular blog, Gawker, recently voted Kakaʻako “Honolulu’s hippest neighborhood.” And why not? Kakaʻako is home to some of the best food, art and culture in Hawaiʻi. Eat the Street is Hawaiʻi’s best food truck event. The last Friday of every month, you can find the party happening from 5-10 p.m. at the Kakaʻako Gateway Park. This is just mauka, on the mountain side of, Kakaʻako Waterfront Park. Eat the Street now has a daily location serving lunch and dinner. It’s called Makers & Tasters. The location is the Kewalo Harbor waterfront. Photo courtesy of Paul Schreiber. 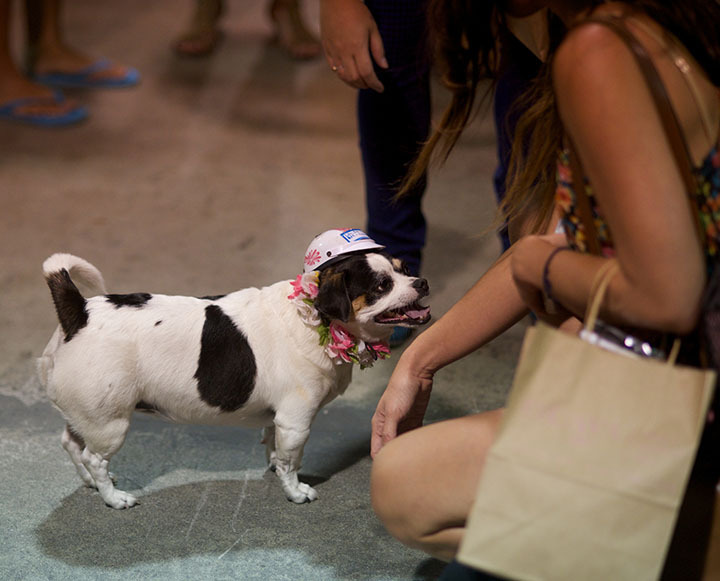 Every third Saturday night, the buzz is at the Honolulu Night Market. Food, music, shopping, art and a fashion show take over 449 Cook Street from 6-11 p.m. All ages are welcome. No cover charge. The area near the Honolulu Night Market and SALT is adorned with beautiful wall murals. 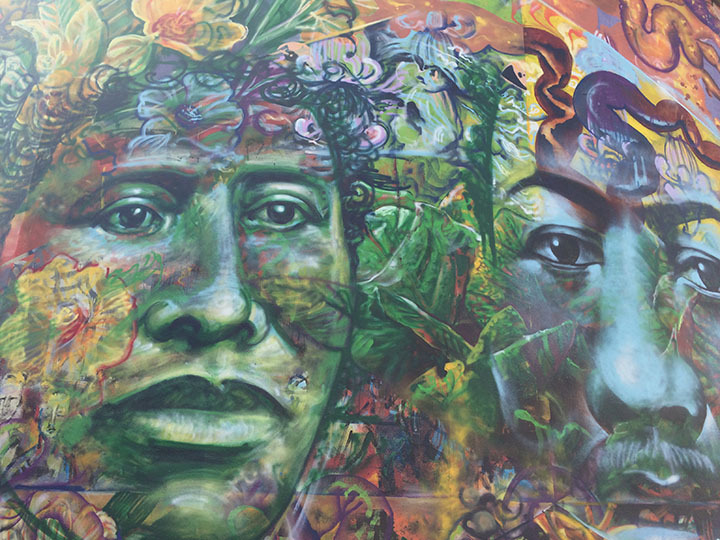 The murals are Hawaiian in design but speak to a more modern, more urban culture. These murals are the work of a movement of artists called POW! WOW! Valentine’s Day week finds hundreds of local and international artists in full collaboration. The products are the lively colored byways of Kakaʻako and an international art movement. Whether you come to Kakaʻako for the lively nightlife, the shopping, the restaurants, the convenience of living in this urban center, or for a quiet picnic on a grassy hill overlooking the ocean, Kakaʻako welcomes you.